As the Eurozone deals with Greece, the U.S. must deal with what’s being described by some as the “Greece of the Caribbean” – Puerto Rico. 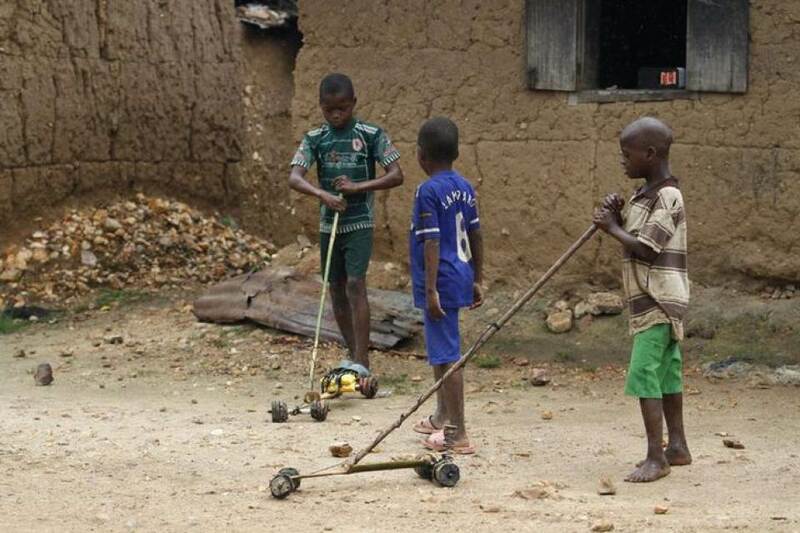 The Carribbean island’s Governor, Alejandro García Padilla, has warned that if the island can’t pay its $72 billion debt it will descend into a “death spiral”. His comments followed the publication of an independent report he had commissioned into the main factors crippling the Island economy. These are the three biggest challenges facing Puerto Rico, according to the report. 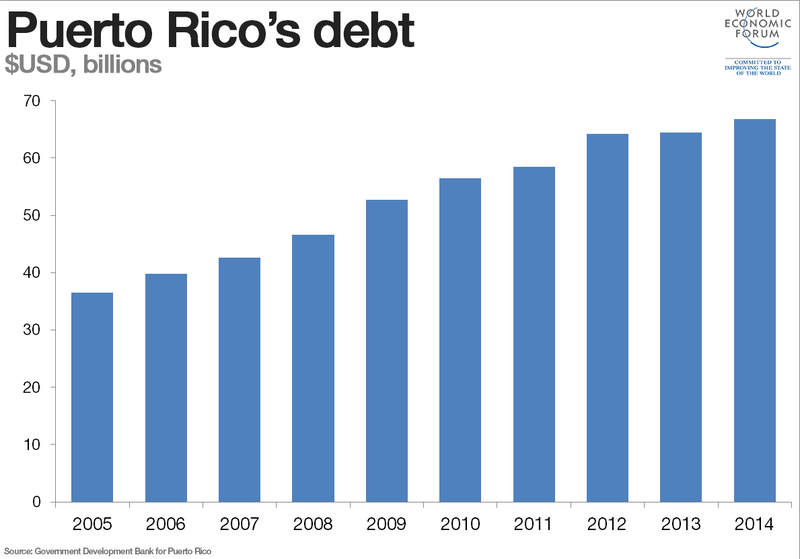 Puerto Rico’s debt is higher than that of most U.S. States. The island has been borrowing heavily since 2006 and had it been a U.S. state, might have declared itself bancrupt by now. But Puerto Rico is a commonwealth and there’s no legal mechanism under which it could seek protection from its creditors. Changes to the legislation are under discussion. But there’s opposition from American investment funds and citizens who hold most of the debt. Puerto Rico’s bond rating has been downgraded to junk level, but people continue to buy Puerto Rican bonds due to a U.S. tax break, they are “triple-tax-exempt”, which means that American corporations and citizens don’t pay federal, state, or local taxes. American hedge funds hold approximately $15 billion of Puerto Rico’s debt, with mutual bond funds and individuals holding the rest. This is the main reason why Puerto Rico’s crisis is so relevant to Americans. 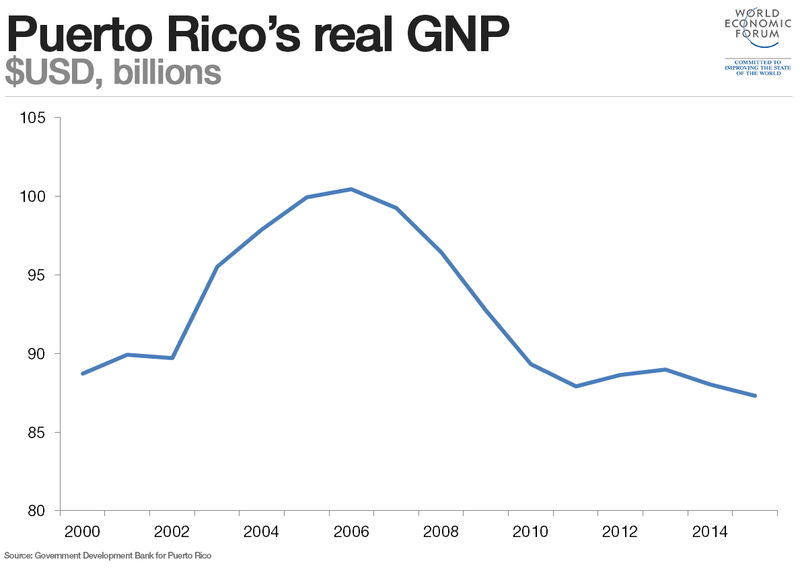 Puerto Rico’s economic activity has been slipping for nearly a decade. It started in 2006 when the economy took a hard blow after federal tax breaks for U.S. manufacturing firms in the U.S. were eliminated, resulting in the departure of major businesses on the island. This was followed by the Great Recession following the global credit squeeze after collapse of Lehman Brothers in 2008, and by 2013, 45.4% of Puerto Ricans were living in poverty — three times the figure for the U.S., according to the American Community Survey. The Great Recession of the 2000s sped up migration to the U.S, (all Puerto Ricans are U.S. citizens) and as a result the population started falling. 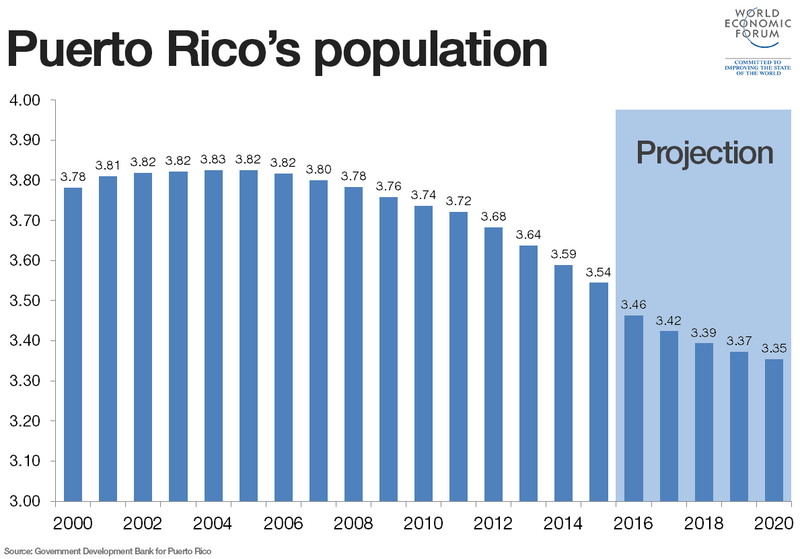 According to Pew, Puerto Rico’s population has fallen more in the last three years than it did in the three decades to 2000. Projections suggest the population will continue to fall by 1% a year — 10 time faster than Japan. Read What’s the difference between Greece and Puerto Rico?